Our highly experienced trial attorneys have handled hundreds of cases on behalf of injured consumers and shareholders, recovering over $3.5 billion for our clients. In 2013, one of the Firm’s partner attorneys served on a trial team that recovered over $11 million for the Plaintiff in the nation’s first trial involving an Ethicon transvaginal mesh lawsuit. 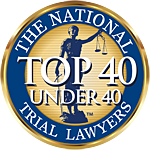 Five of our partners were also named New York Super Lawyers in 2012. Only five percent of the lawyers in New York are named by Super Lawyers. Our ranks include former prosecutors, former U.S. Circuit Court of Appeals law clerks, former U.S. District Court law clerks and former attorneys from prominent national defense law firms. Our highly-experienced legal team also includes in-house and outside investigators who work with our attorneys to develop the facts and evidence in our cases. The Firm is currently involved in a number of litigations involving dangerous drugs, defective medical devices and consumer products.